Do you need a pull cord repair? Does your starter rope not rewind? Has your rewind rope broken? Is the handle in your hand & cord back in the engine? Has your pull cord pulled it’s last time? We are the experts at pull cord repair! We will repair and service your recoil or rewind starter. Our pull cord repair service makes it quick and easy for you to get your engine going again without having to lug your whole machine around. . Simply remove the engine housing or starter cord housing (typically done by removing 4-6 bolts using a 7/16, 1/2″ or 10mm wrench) and bring the recoil housing into us. Of course, if you’d rather bring us the whole machine, that’s fine too! We will replace the spring if needed, adjust the pawls and replace the rope. The cost of a pull cord repair is $19.95 which includes the replacement rope. Additional parts, if needed, will be charged separately. If you drop it off by 3pm, it will typically be ready the next weekday after 3pm. 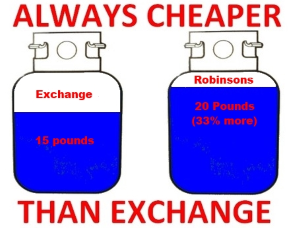 Robinsons is the area’s best power equipment service shop, with the area’s only Certified Master Technician and Stihl MasterWrench Gold Level Technician in the area.